In Dolceaque we offer this characteristic apartment for sale 100 m². 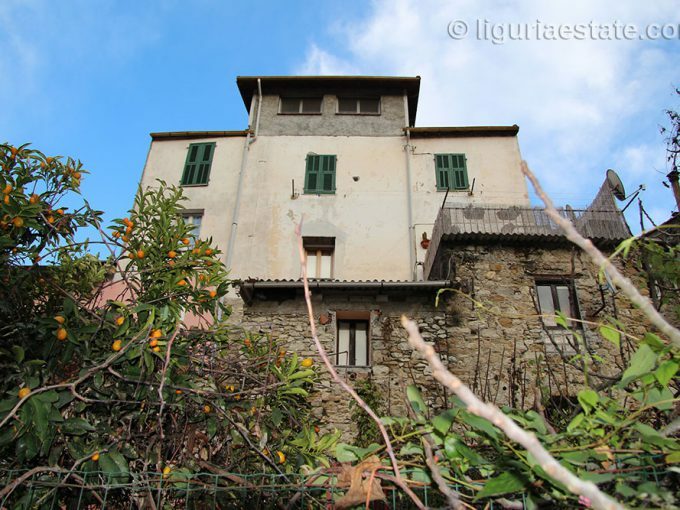 It is split up over three floors and offers a splendid view over the impressive Doria castle, the river and the valleys all the way to the sea. The first two floors contain the living- and sleeping area and the third floor consists of two covered terraces and an open terrace. The two covered terraces can be reconstructed into a bedroom with bathroom. Though it needs some renovation, this apartment offers great possibilities, thanks to the location and the wide view. Situated seven kilometers away from the sea, Dolceacqua is divided into the two districts of Terra and Borgo which are connected by the humpback bridge over the River Nervia. This bridge inspired the painter Monet to create two paintings. A fine investment on a top location.